or you can just go to my Facebook page Banasiak Art Galleryand click on the “Videos” tab to see the first of many videos to come. 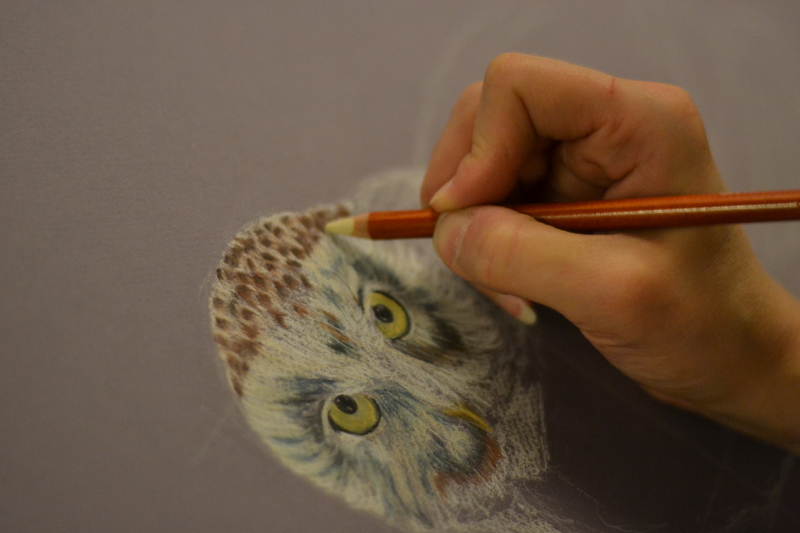 Adding color to the Snowy owl’s face creating the texture of the feathers. Photo by Melissa Wagner. ← Who, who….. the snowy owl that’s who!